Chicago School Bus is family owned and operated since 1993. Our mission is to provide excellent transportation in a timely and safe manner. All of our employees are fully-licensed and insured, Criminal Background check and drug-tested. 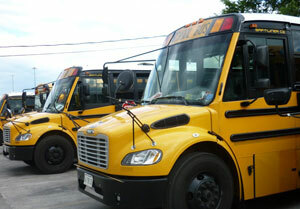 We have a well-maintained fleet of over one hundred school buses to service any size group. for your bus charter today!